MEA testing will take place on April 1st, 2nd, 3rd and 5th at SJHS! 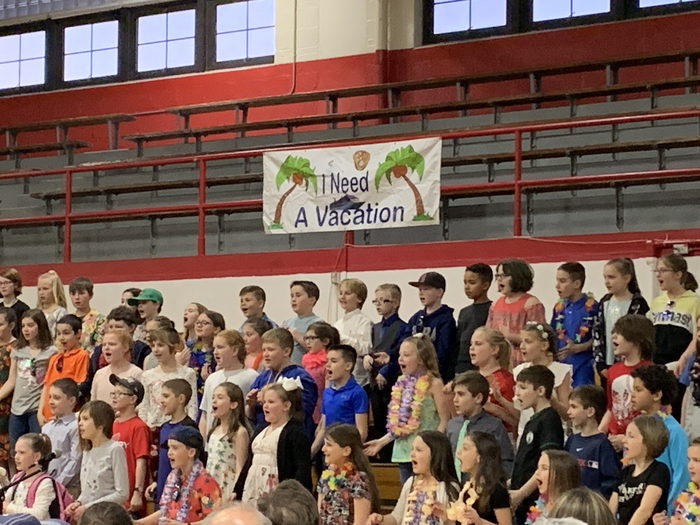 Willard 4th graders perform I Need A Vacation at Memorial Gym. Just a reminder that MCS's annual Reading Under the Stars event is this evening from 6:00-7:30 p.m. Come join us and hear stories read by various guest readers. Snacks are being provided by our PTA. We hope to see you and your child here tonight. Parents, if you come to MCS this afternoon, please be careful as our parking lot and sidewalks are slippery due to the sleet. 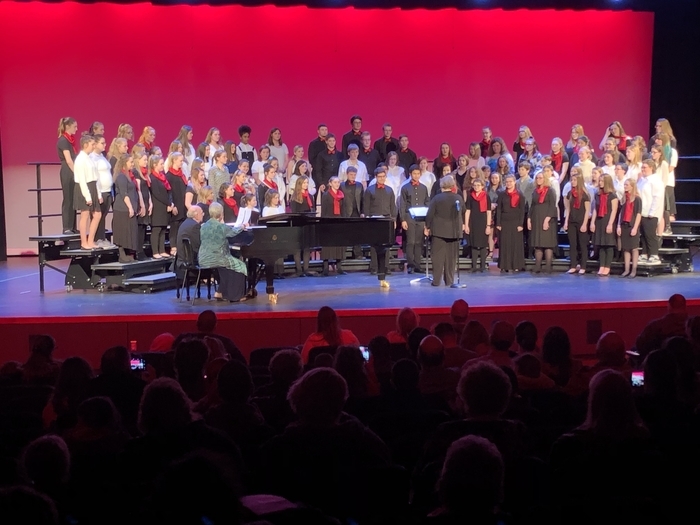 Margaret Chase Smith's annual "Reading Under The Stars" event will be Tuesday, March 26th, from 6:00 to 7:30 p.m.
Spring Sing 2019. 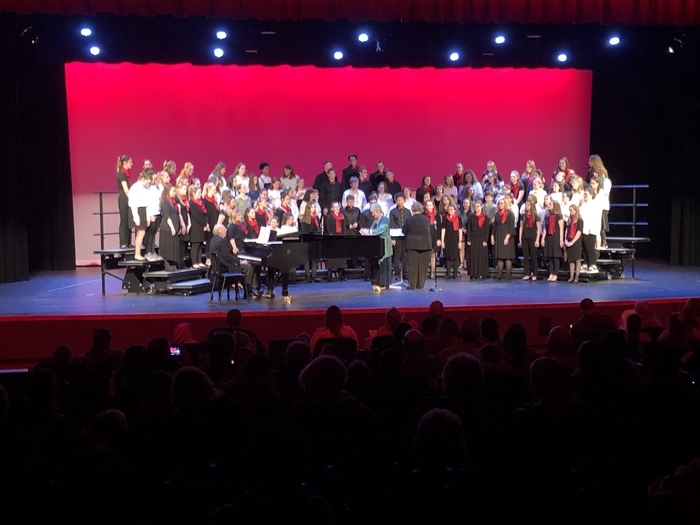 Grades 6-12 chorus from Sanford High School and Sanford Junior High School performing together in the Sanford Performing Arts Center. Happy Spring. 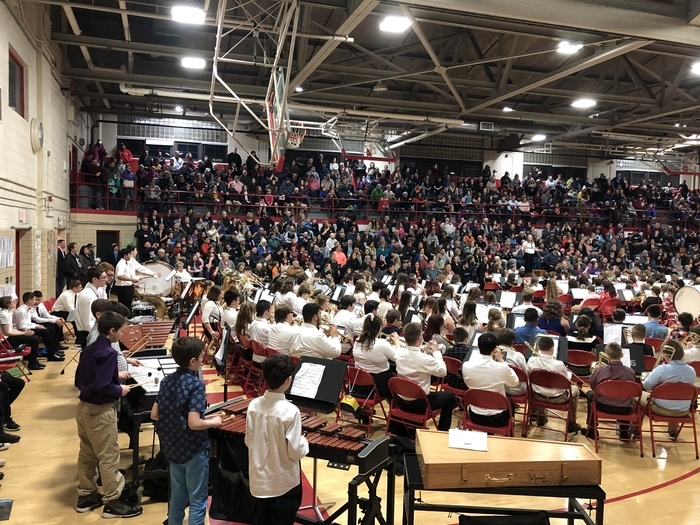 The Sanford High School Music Boosters hosting the Maine Band Director's Association Winter Guard and Percussion show. 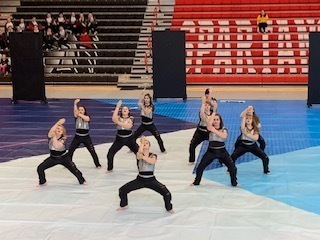 Outstanding Performance by the Sanford High School Winter Guard! 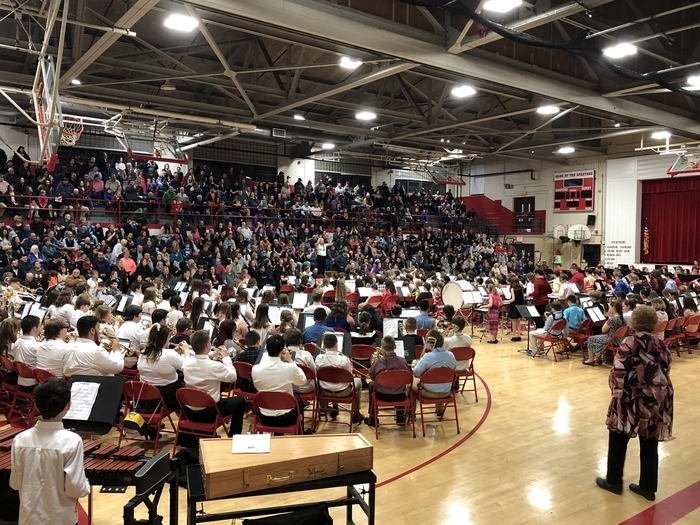 Bandfest 2019 - All together now! 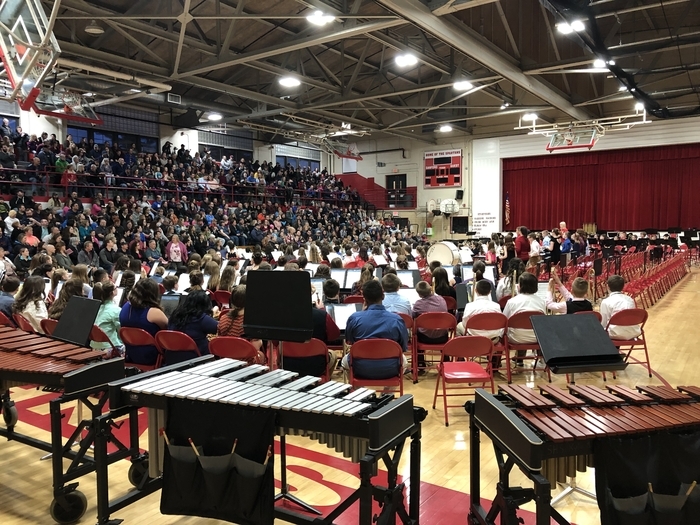 Bandfest 2019 - Sanford High School Band in the house! 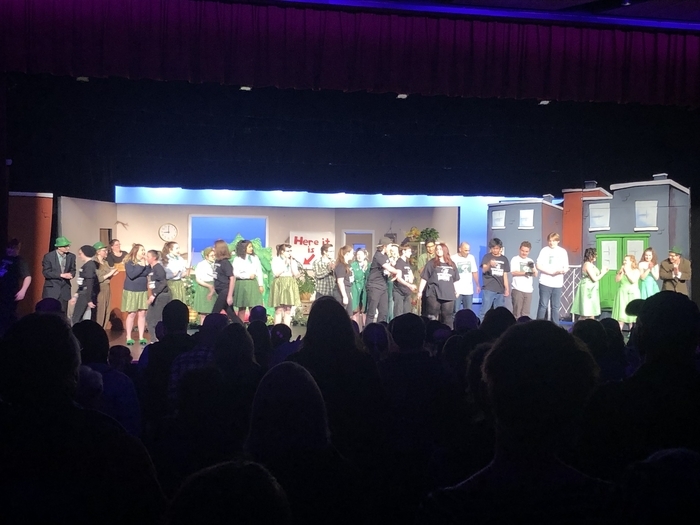 Bandfest 2019 - 8th grade performing the Dropkick Murphy’s Shipping Up To Boston! 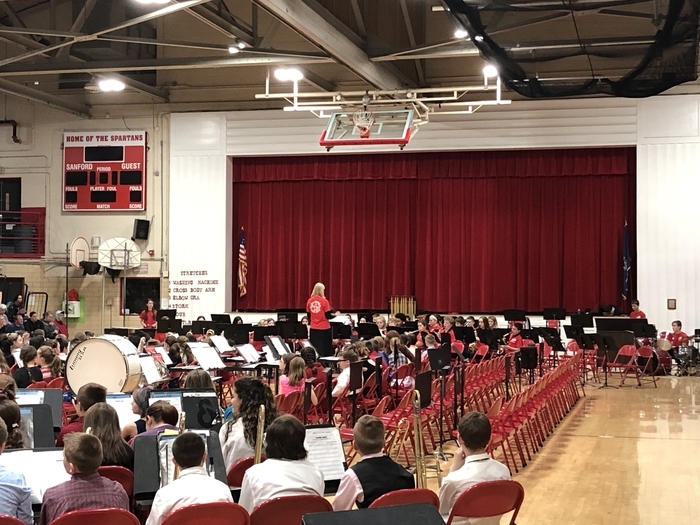 Bandfest 2019 - Next up 6th grade! Good luck to our SRTC Skills Maine participants. 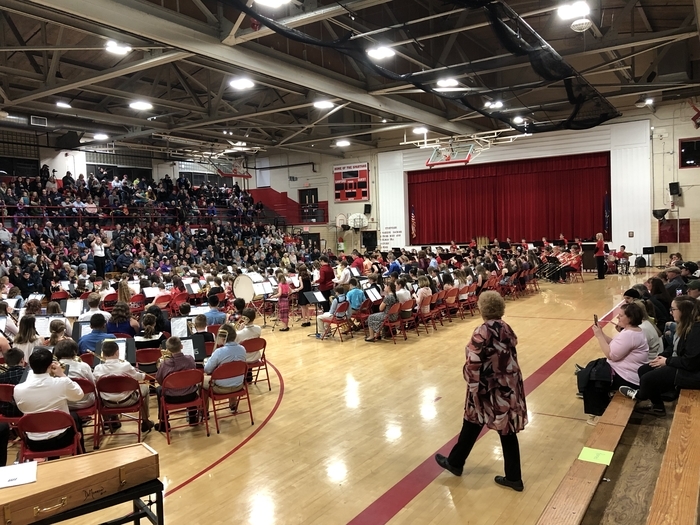 Over 50 students competing. Go for the gold! 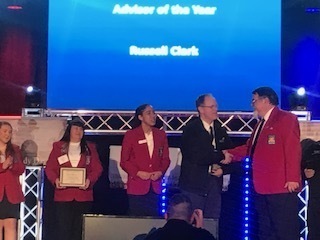 Congratulations to Mr. Clark for being selected as Skills USA Advisor of the year. 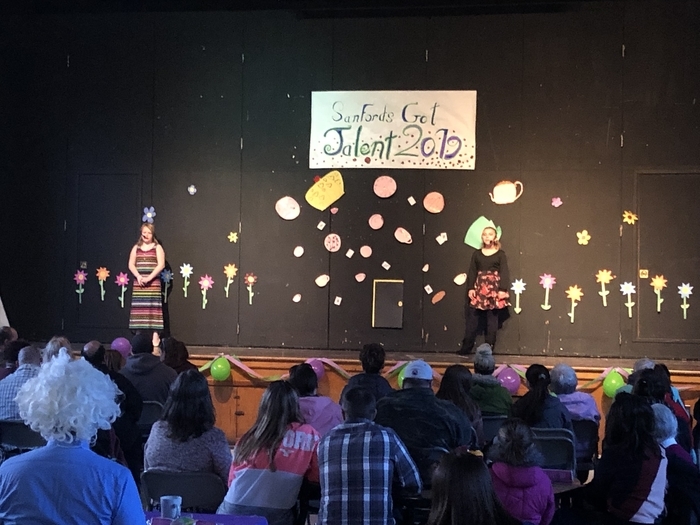 Sanford Junior High School’s Got Talent 2019. 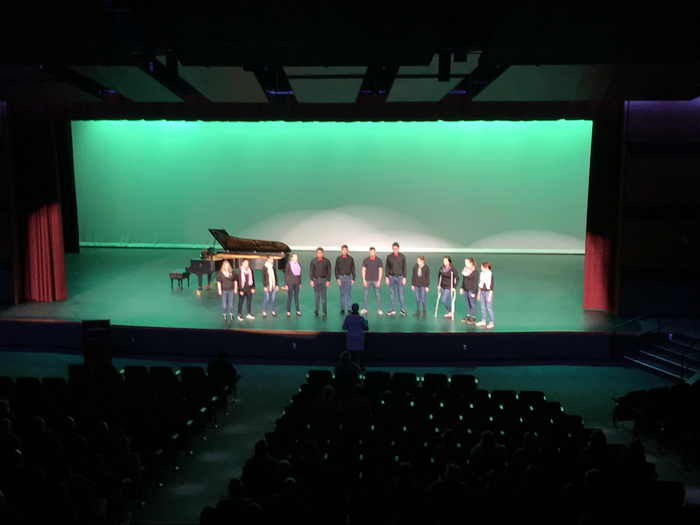 Great performances! 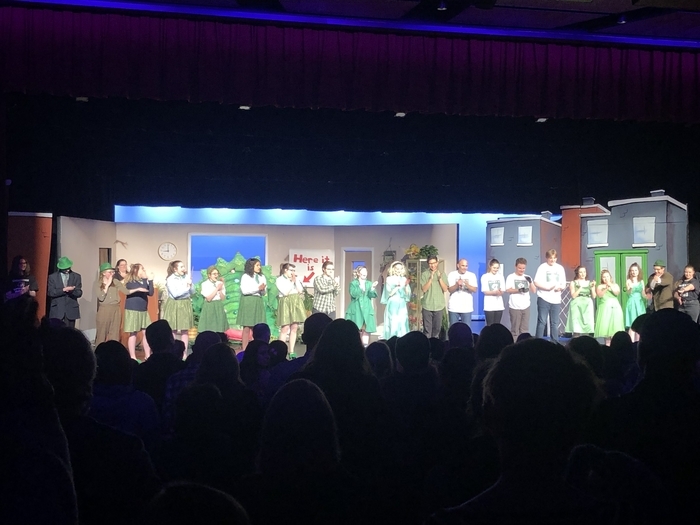 Thank you JMG students for handling and coordinating all parts of the show. 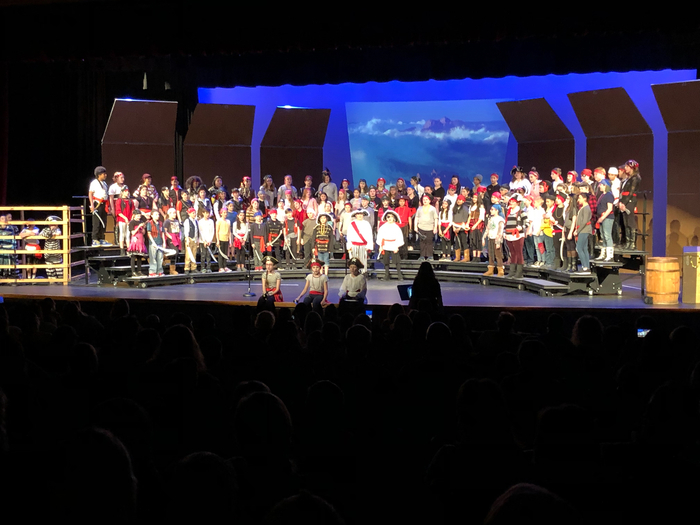 Willard 5th Grade Pirates concert at the Sanford Performing Arts Center! This is a message from the Sanford School Department. Due to current weather conditions and forecast, Sanford schools will be closed on Monday, March 4th. 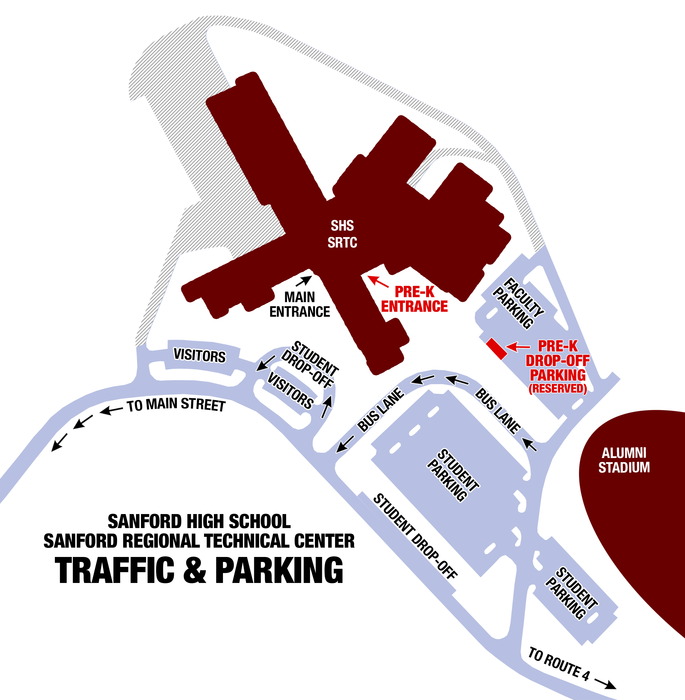 Sanford Regional Technical Center is hosting an Open House this Wednesday, Feb. 27th anytime between 6:00 PM and 7:30 PM. Come check out our new school and visit any or all of our 20 programs and learn about the enrollment process. It is never too early to plan for your future. 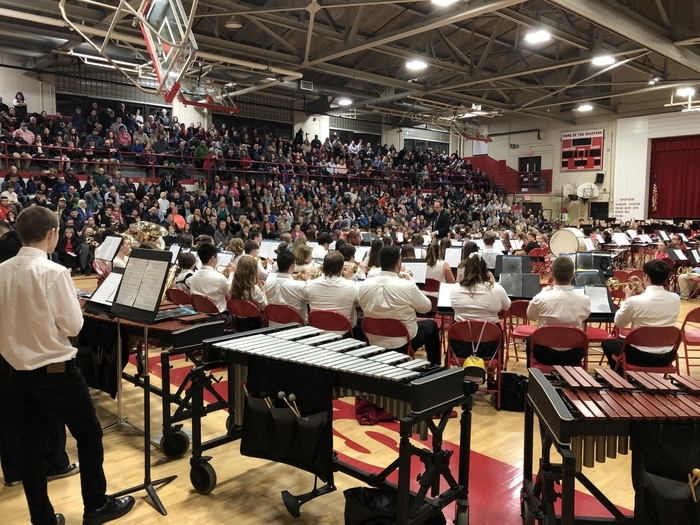 MMEA District 1 Jazz Festival today at the new Sanford High School / Sanford Regional Technical Center beginning at 3:00 PM. 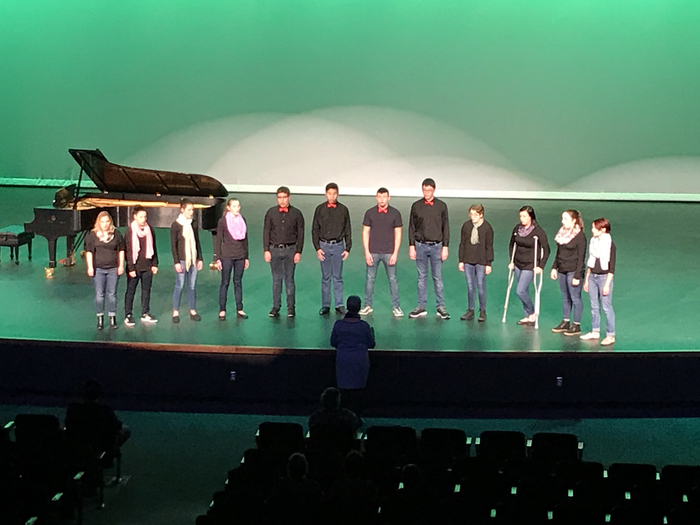 Come listen and watch performances from jazz bands throughout York County. 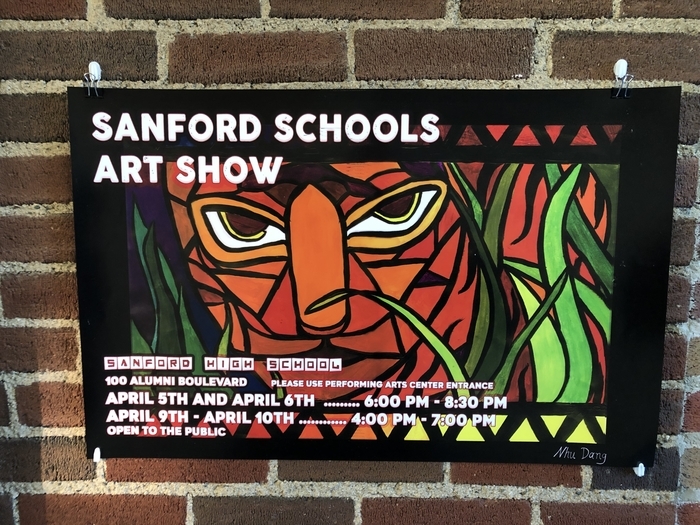 The Sanford HS Jazz Band is scheduled to perform at 7:00 PM Good luck! Welcome back. Hope everyone had a nice school vacation. Use caution driving to school AM. Back roads are slippery School parking lots are icy. Be careful! Another icy morning. Use caution, especially getting out of your vehicles in school parking lots. Our maintenance staff has been working hard again this morning. Be careful. Please be careful walking into school today. Use extra caution. Our maintenance department has salted but it is icy from the overnight. This is a message from the Sanford School Department. There will be a 2 hour delay on Wednesday, February 13th. We will keep the early release day as scheduled. No session one pre-k.
Sanford School Department sponsored programs ending after 5:00 PM are cancelled tonight 2/12/13 due to predicted weather conditions. 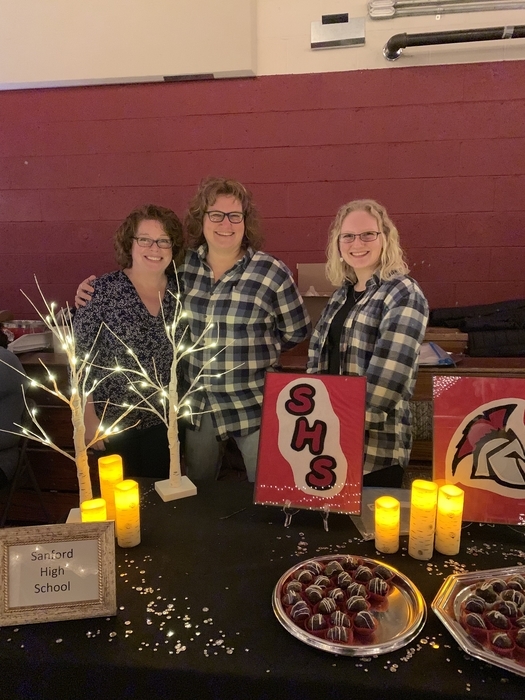 Thanks to everyone who supported last night's Sanford Backpack program's sold out 2019 Chocolate Benefit. Over 150 donors contributed items for raffle and auction. Another 34 sponsors provided financial support. The backpack program provides Sanford youth and their families with nutrient-dense food integrated with food education experiences to help bridge the meal gap that occurs when youth don't don't have access to school meals. Thank you Sanford Backpack program for all you do for our students and the Sanford community. 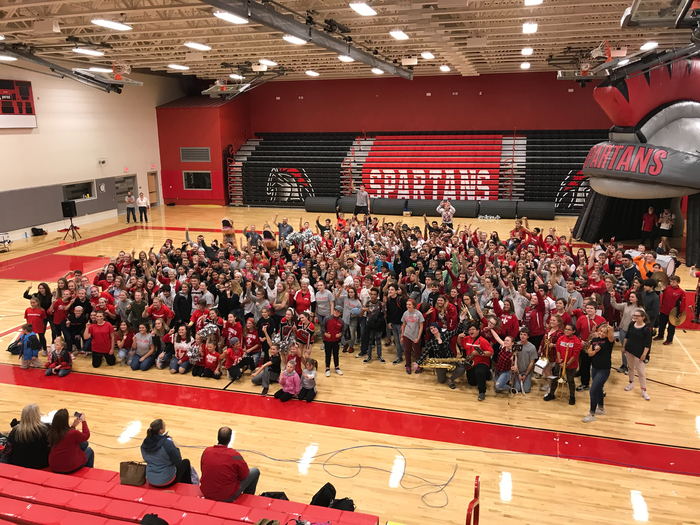 On January 31st, 2019, Sanford High School and Regional Technical Center hosted its first ever, “Celebrating Partnerships” event in the Agora Presentation Area of our new school. 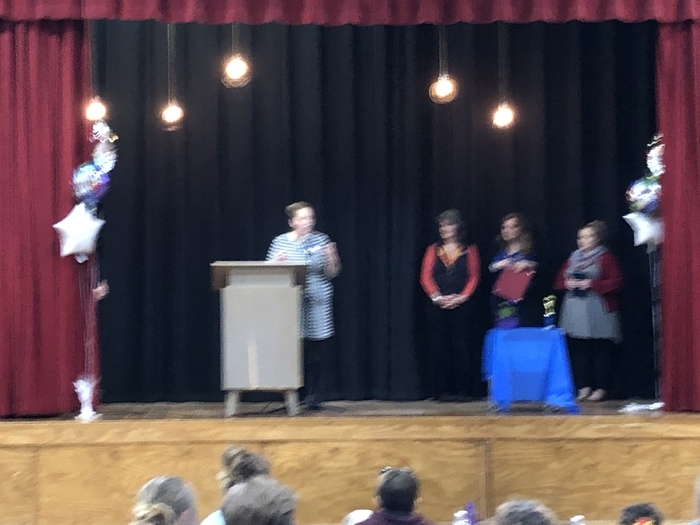 The event was part celebratory and part networking and focused on bringing together our school and community resources to create dialogue about ways to partner, such as: internships, job shadows, business tours, guest speakers, and ELOs. 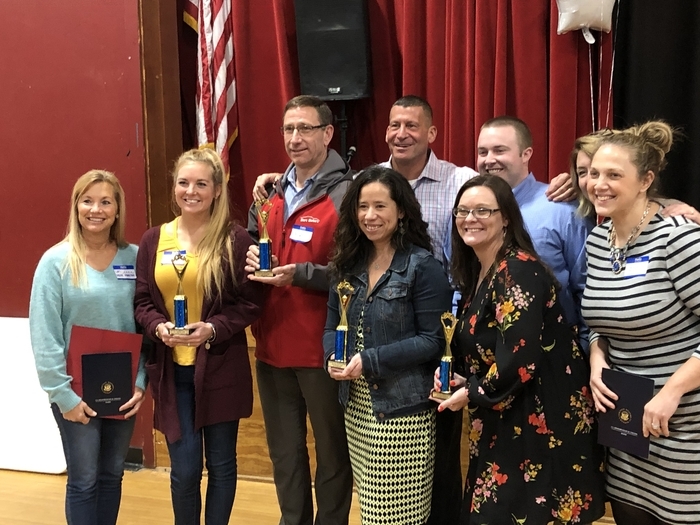 Community partners helped provide insight on necessary “real world” competencies and the skills they are looking for in their workers and school staff provided insight on curriculum and students’ skills and talents. 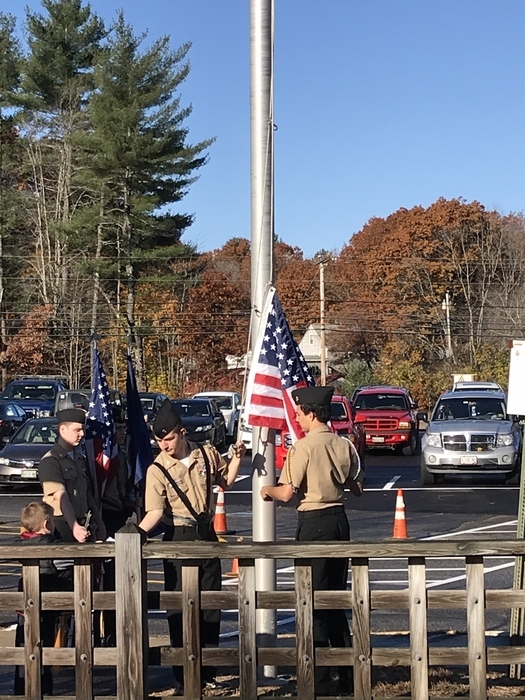 The event was funded through monies awarded to Sanford Regional Technical Center (SRTC) by MELMAC Education Foundation through a Systems Innovation grant. Several local businesses and SRTC program instructors were present allowing for productive and fun collaboration time. 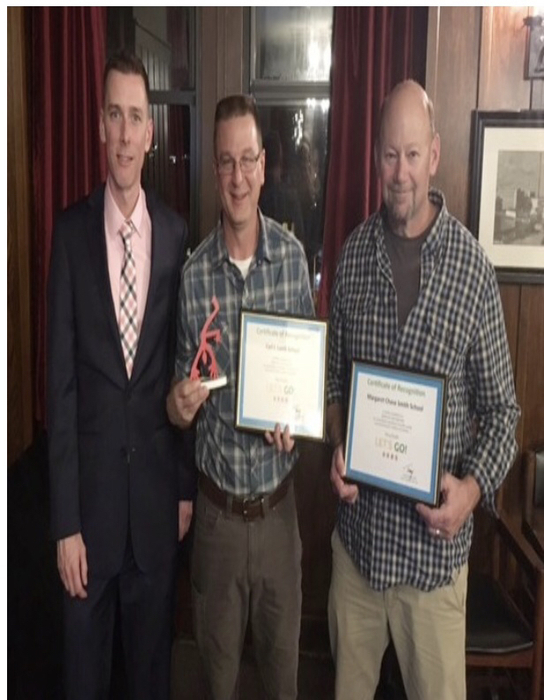 Many thanks to Plants Plus for designing and providing the beautiful floral arrangements, Above & Beyond Catering for the delicious food and drink, and MELMAC Education Foundation for the monetary support. Bus #18 is running 15-20 minutes late this afternoon. Carl Lamb students are on bus #30 and Willard students are on bus #17. Going to be cold at bus stops and walking to school this morning. Remember to bundle up everyone! This is a message from the Sanford School Department. Based on current weather conditions, all Sanford schools will be closed on Wednesday, January 30th. Going to be cold at bus stops this morning! Remember to bundle up everyone! 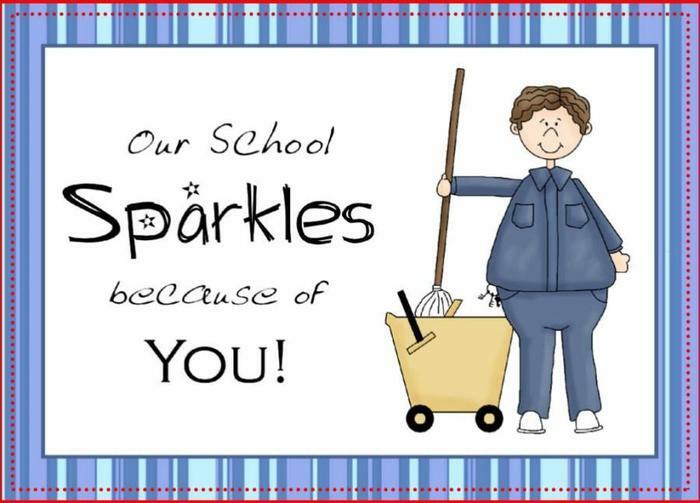 This is a message from the Sanford School Department. 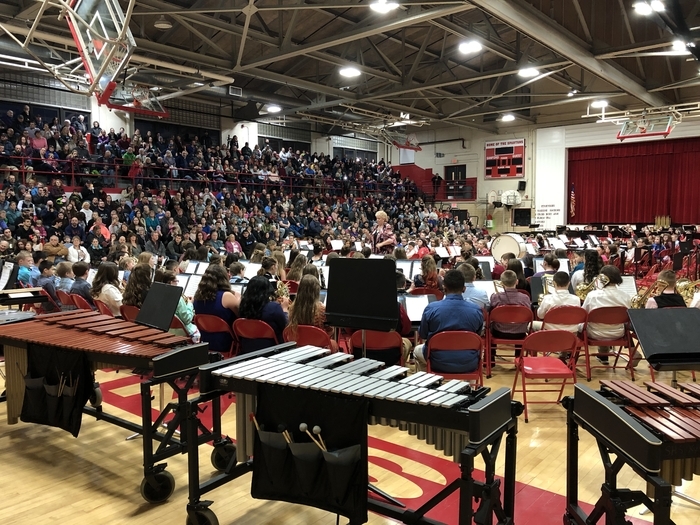 Due to a partial power outage and no heat at Sanford Junior High School, all Sanford Junior High School students will be dismissed early today Thursday, January 10th at 10:40 AM. If you need to contact SJHS, please call 324-2810, dial 4 and dial 0. This early dismissal today only impacts Sanford Junior High School Students. 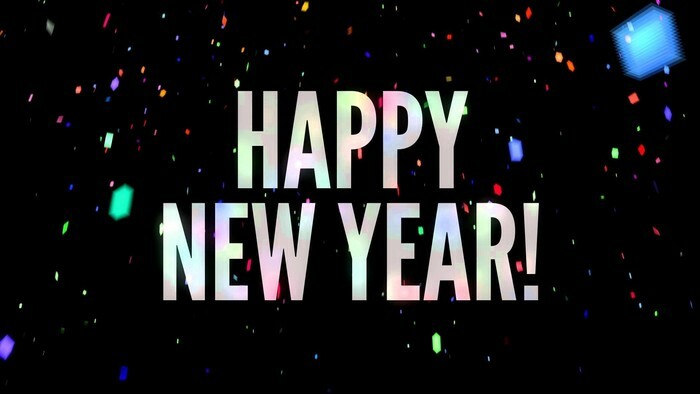 This is a message from the Sanford School Department. Based on weather forecast and predicted road conditions, Central Office and school offices will have a 2 hour delay in opening this morning, Wednesday, January 9th. This is a message from the Sanford School Department. Based on weather forecast and predicted road conditions, there will be no school on Wednesday, January 9th. This is a message from the Sanford School Department. There will be a two hour delay on Tuesday, January 8th. No session one Pre-K at the new Sanford High School / Sanford Regional Technical Center. Safe travels. 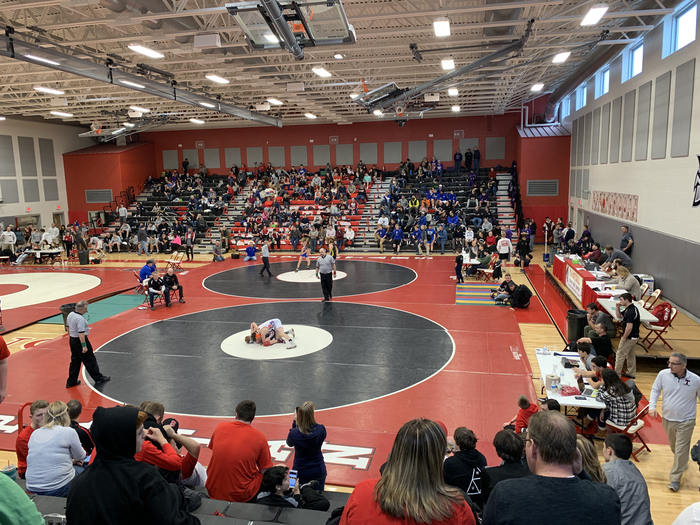 The Sanford Spartans are hosting 18 schools today at the 51st Annual Sanford Wrestling Tournament. 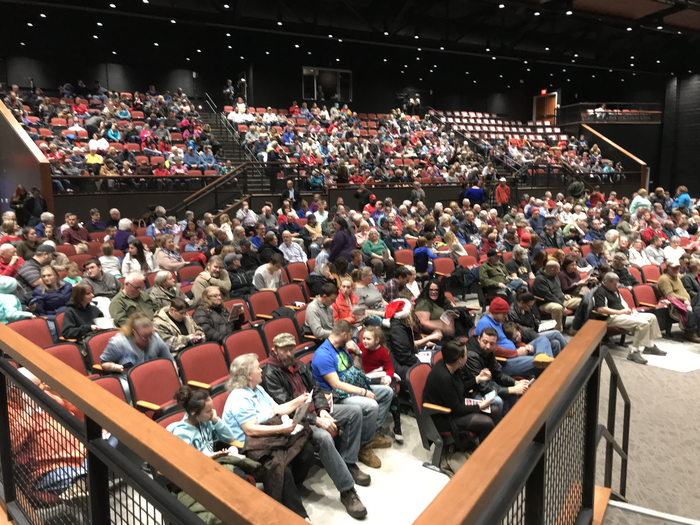 Amazing turn out for the opening of the Sanford Performing Arts Center. New website launched today! 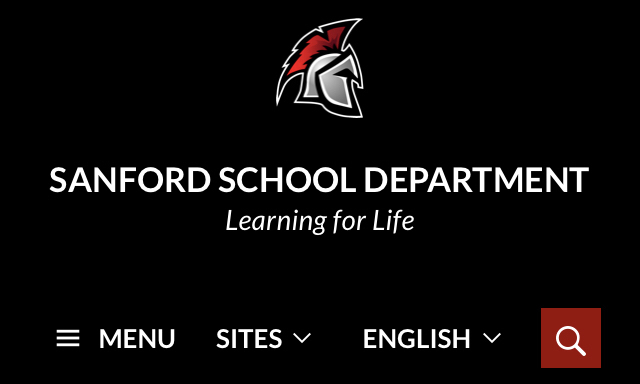 Check out our new website at www.sanford.org. ‘5210 Let’s Go! 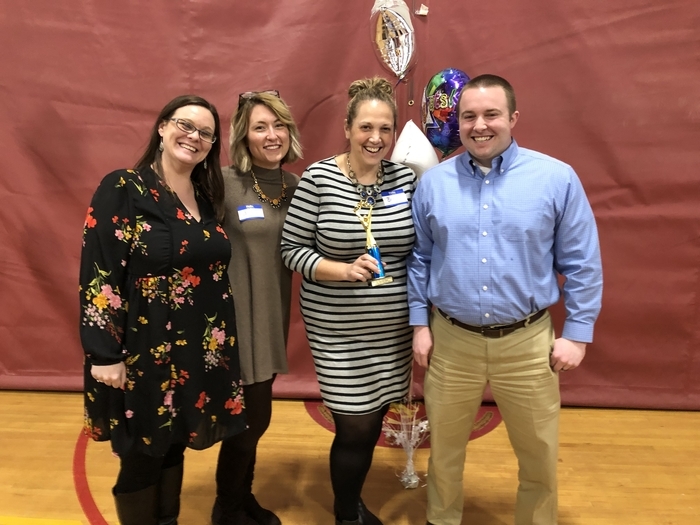 York County’, a program of Partners for Healthier Communities at Southern Maine Health Care, recently held a dinner to recognize sites of distinction. This is a community- based initiative to promote healthy lifestyle choices for children, youth and families in Maine. The goal is to increase physical activity and healthy eating for children and youth. Congratulations to Margaret Chase Smith School led by Rich Wilkins and Carl Lamb School represented by Dave Eldridge as they were honored as sites of distinction. In addition, Dave Eldridge was presented with a special honor, the “Redy” Award, for his ongoing commitment to 5210 Let’s Go! 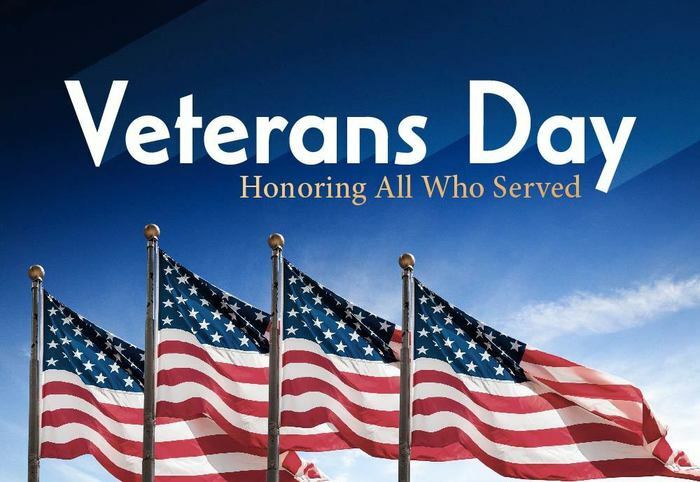 No School Monday, November 12th in honor of Veterans Day. 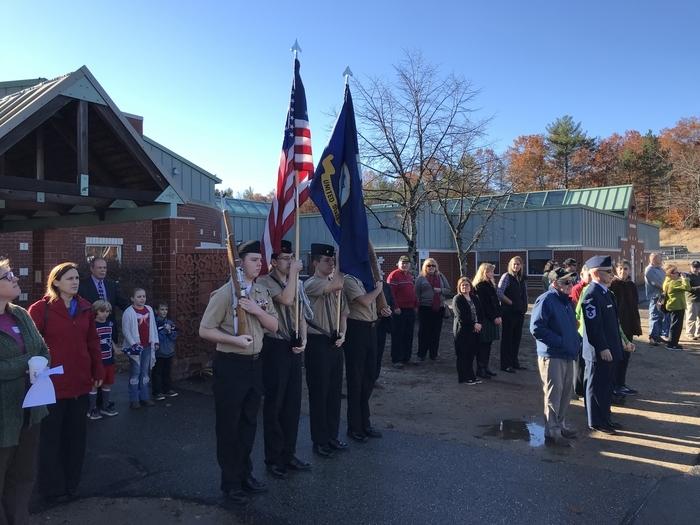 Sanford rallies for the WGME School Spirit Challenge. 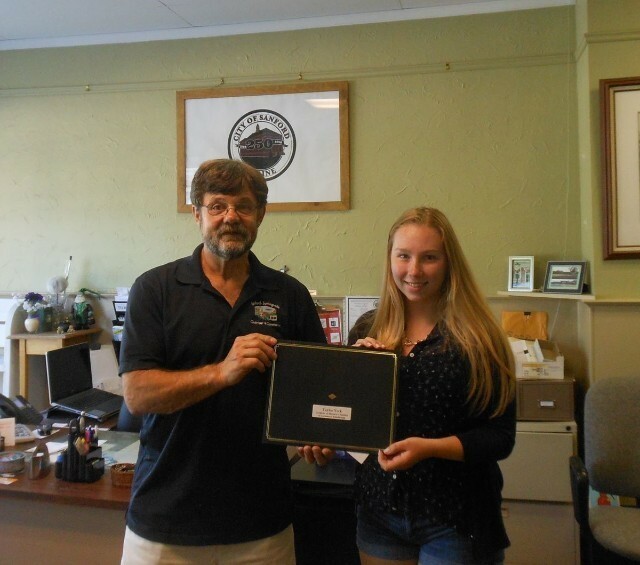 Sanford Springvale Chamber of Commerce President Rick Stanley is pictured awarding a $1,000 scholarships to Taylor York who will be attending Southern New Hampshire University to study in the School of Business program. Chamber of Commerce President Rick Stanley presents SHS/SRTC graduate Thaddeus Forner a $1,000 scholarship. Thaddeus successfully completed the SRTC Academy of Business program and is attending Suffolk University in Boston. 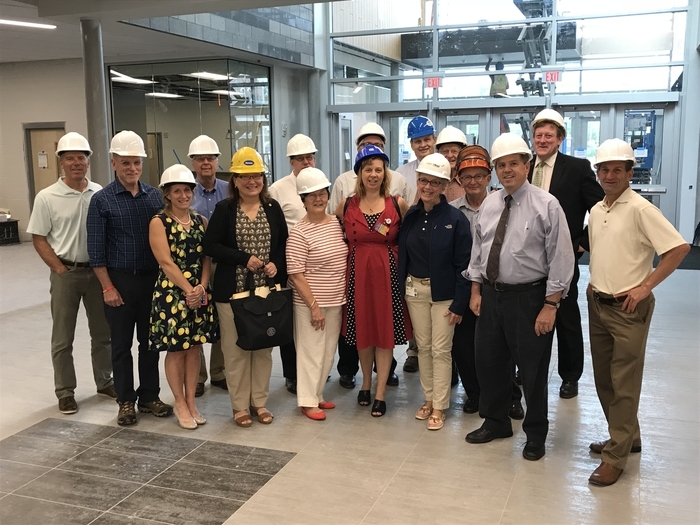 Members of Sanford Rotary tour the new high school and tech center! 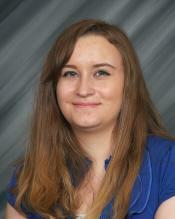 Congratulations to Sanford High School senior Andrea Giles for being named a National Merit Scholarship semifinalist! Pratt & Whitnet donates $25,000 to the Legacy Foundation in support of the Precision Manufacturing Program. 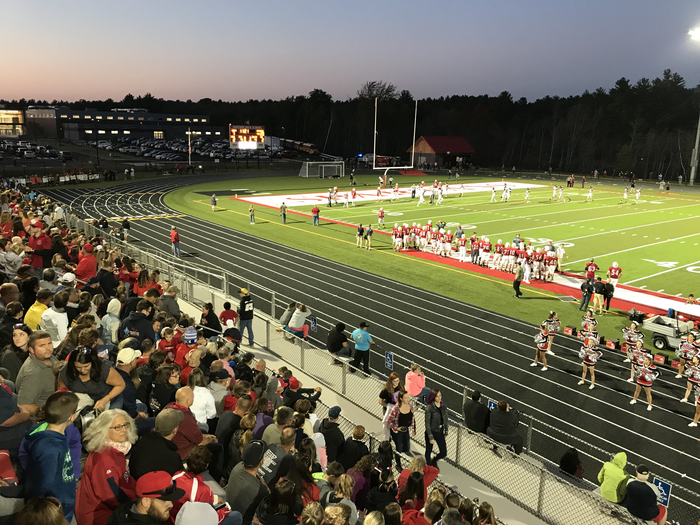 The new Alumni Stadium at Sanford High School was dedicated on August 31st to standing room only crowd.